Available at our Edinburgh centre – Upgrade to include Special Forces Combat missions from only £15 / player ! 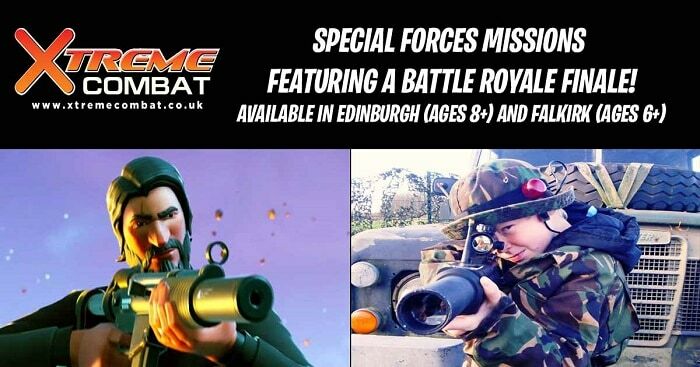 Our Special combat party events are fantastic FUN, and now include Fortnite themed missions, providing the ultimate adrenaline packed party! Contact us for more information on the event format, availability and prices!